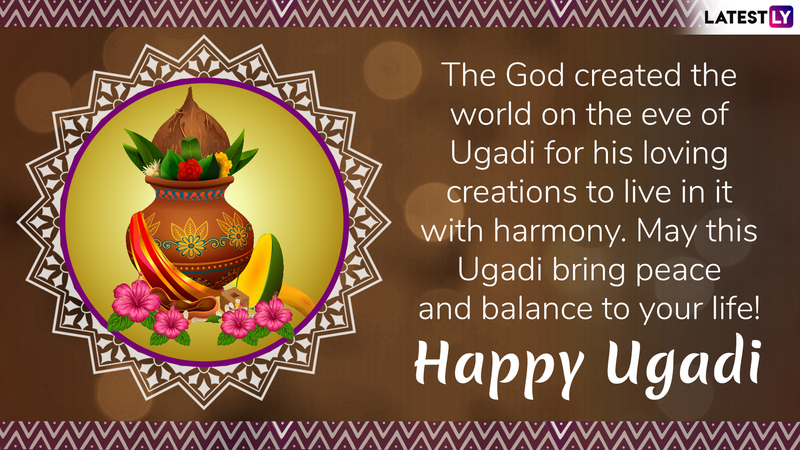 Ugadi is the Hindu New Year's Day for the people of Andhra Pradesh, Karnataka and Telangana. 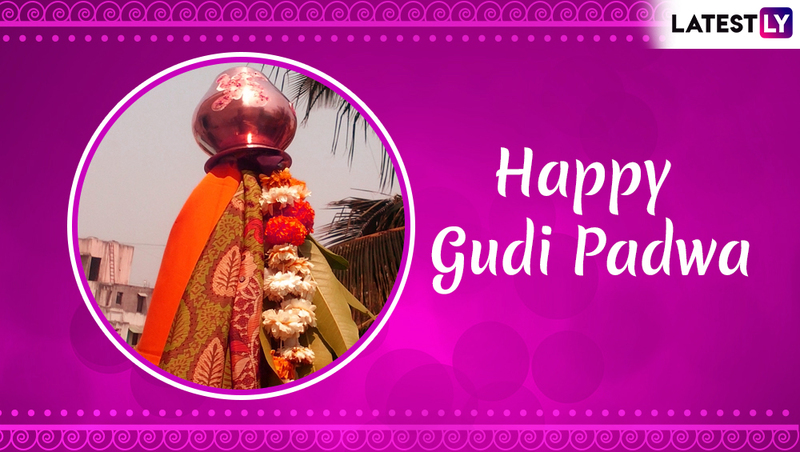 Again, people in Maharashtra will welcome the New Year, by celebrating Gudi Padwa. 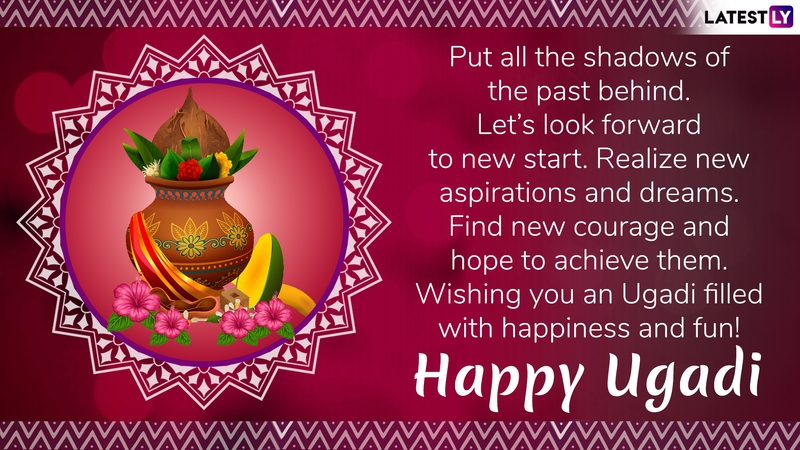 To share the joy and happiness, individuals search for Happy Ugadi images and Gudi Padwa greetings to share with their family members, while wishing them Happy New Year. While, the search for Ugadi messages in Telugu is relatively high, 2019 Telugu New Year wishes are also on the trend. And it goes vice-versa for the Marathi New Year 2019. We are here to save your stress. In this article below, find 2019 Ugadi messages and Gudi Padwa greetings that you can circulate among your dear ones through WhatsApp, Facebook, Instagram and other social media platforms. Besides, the Telugu New Year GIF images are provided as well, to keep the spirit of festivity alive. Easy Gudi Padwa 2019 Rangoli Design Images. The Telugu or Kannada New Year's Day is celebrated on the first day of the Hindu lunisolar calendar month of Chaitra. The festivity dates though vary, it falls on the same time as of Gudi Padwa-- Marathi New Year. Individuals in Andhra Pradesh and Telangana use the term Ugadi, while Karnataka calls it Yugadi. In 2019, Kannada New Year and Marathi New Year will be celebrated on April 6. People in every corner will be seen adorned in new clothes and enjoying family gatherings while sharing their warm Ugadi wishes. 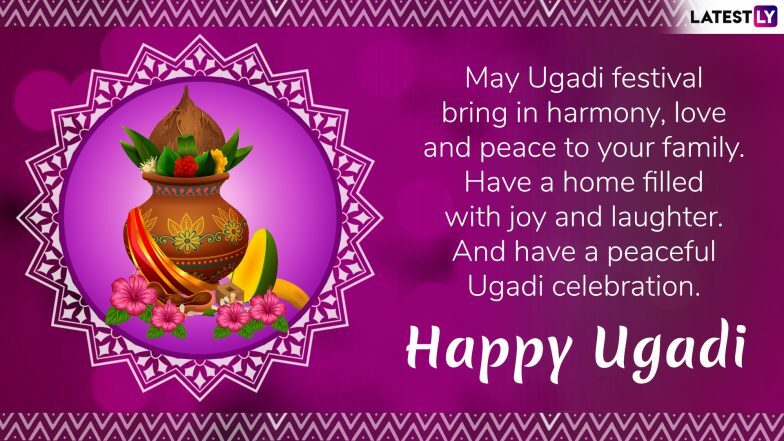 Check out these festive collections of Ugadi and Gudi Padwa 2019 greetings and enjoy the blissful New Year. Share These 2019 Gudi Padwa messages in Marathi. With the advent of technology, Indian festivals are more fun now. WhatsApp has unveiled super cool stickers for all the festivities and the collections are amazing. Just like other celebrations, you can find Ugadi and Gudi Padwa animated stickers to share with your friends and family members, extending your warm greetings on the New Year's Day 2019. 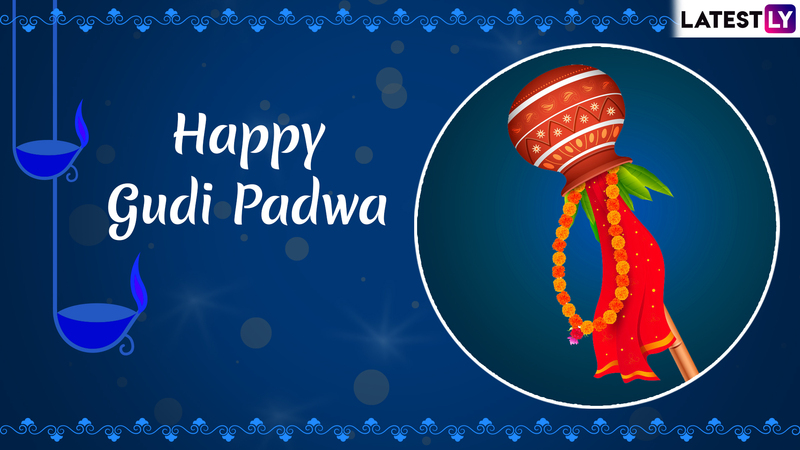 Download Ugadi and Gudi Padwa WhatsApp stickers from the playstore and welcome the New Year with as much enthusiasm. The first of the New Year is extraordinary for everyone and on this special occasion, we feel delighted showering some love and care to our near ones. Send out the best collection of Ugadi images and messages. Just download the Ugadi greetings, Gudi Padwa images and share them by hitting the social media icon with your best words and let them reach to your loved ones this New Year.